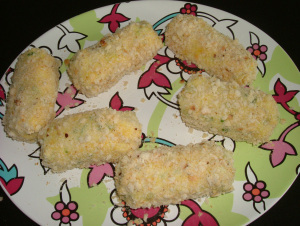 My husband really dislikes shop-bought croquettes, whether fresh or frozen, but he loves these. 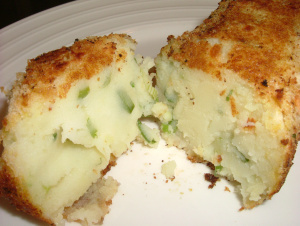 I tend to vary the ingredients to include cheddar, herbs such as chives and parsley or even colcannon croquettes with cabbage and sometimes a little bacon too. I make one large croquette per person, containing roughly the same amount of mash you would generally serve. 6 large potatoes, peeled and cut in quarters. First boil the potatoes until just cooked but not too soft. 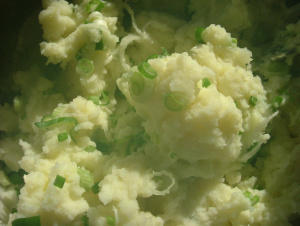 Mash the spuds together with the butter, milk and salt and pepper – the consistency should be fluffy but not too smooth and creamy Add the spring onions and mix thoroughly. Allow the mash to cool completely. Once the mash is fully cooled divide it into 6 equal portions and shape each portion in to a roll. Don’t be too worried about shapes and sizes – once they are roughly the same its fine, they are homemade after all. 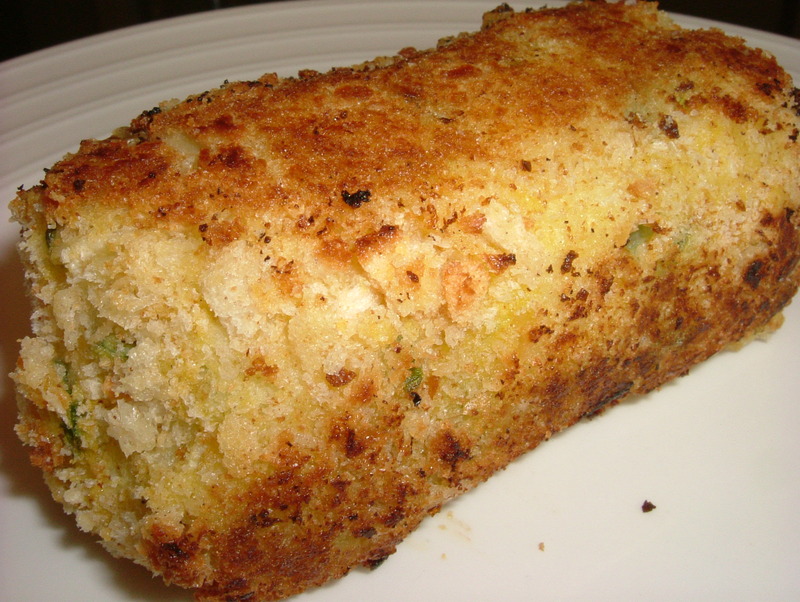 Mix the parmesan with the fresh breadcrumbs and season with salt and pepper. Carefully dip each croquette in the beaten egg and then roll in the breadcrumbs to get a light, even coating. Preheat the oven to 180ºC. Heat the olive oil in a frying pan on medium heat and carefully place the croquettes in to the pan – I suggest only cooking 3 at a time in order to give yourself room to turn them easily. Once you have fried them on each side until lightly golden, place the croquettes on a baking tray and place in the oven for 15 minutes until warmed right through. Spinach & Potato FrittataIn "Dinner"
mmmmmm. I love croquettes. Must try these out soon. I must admit bacon and cabbage croquettes are probably my favourite – and a great way of using up leftovers. 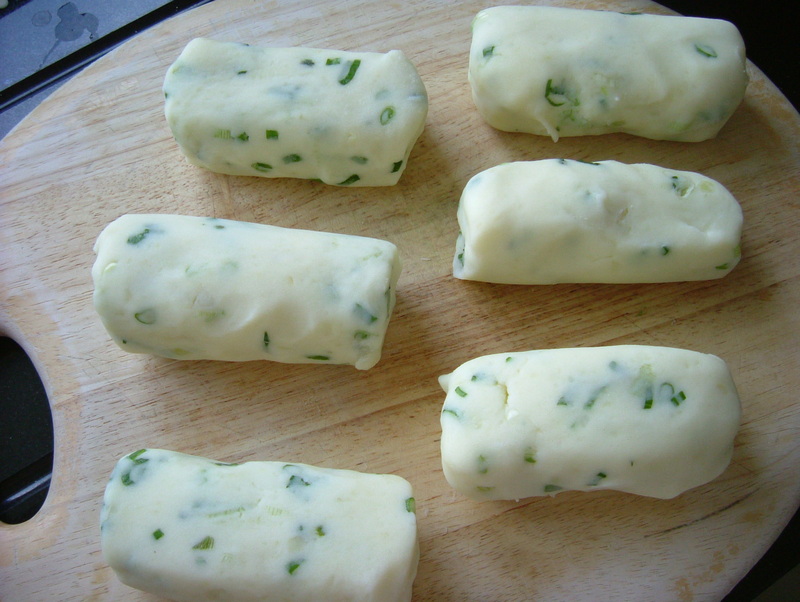 If you were freezing extra croquettes, would you cook first and then freeze? Thanks, dear! Ah, sure those would win out over the shop bought variety anytime! Thanks for the comment x how did you get on with them?